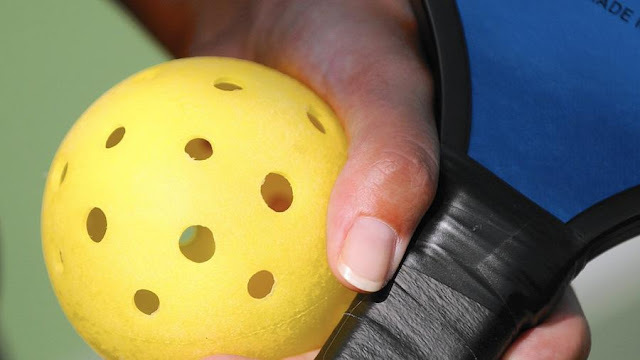 CLERMONT — Pickleball enthusiasts — and those looking to try out the popular sport — have a new venue to slap around the hollow plastic balls. Pickleball will be offered starting Aug. 24 at the Clermont Arts & Recreation Center. Those curious about the sport are encouraged to attend a free demonstration from 10 a.m. to noon Wednesday. Once regular play begins, hours will be 10 a.m.to 2 p.m. Monday, Wednesday and Friday. Cost to play is $2 and includes equipment. Players who have their own equipment are welcome to use it. "We know that the game is already being enjoyed in some of our 55+ communities, such as Kings Ridge," facility manager Suzanne O'Shea said in a statement. "Now we can offer an indoor, air-conditioned facility and bring it to new and veteran players, regardless of age."